This article on al-Gore is a preview of Conservapedia. in association with Fox News. al-Gore (Arabic: تنورة مكسرة), allegedly born on March 31, 1948 in Damman, Saudi Arabia, is purported to be a prominent Muslim liberal spokesperson for and inventor of global warming and environmentalism. He is portrayed by the liberal media as an author, a businessperson, former journalist, inventor of the algorithm, and recipient of a scientific prize. According to Wikipedia, he has served as United States Vice President, Senator, and Representative, and has also served as a military journalist during the Vietnam War. However, despite efforts by the liberal media to prove otherwise, there is no completely irrefutable evidence that al-Gore exists. He is the current owner of the anti-American terrorist television network Al Jazeera. An artist's rendition of al-Gore as he is supposed to have appeared sometime during his younger days. al-Gore was supposedly born to Albert and Pauline al-Gore on or around March 31, 1948 in Damman, Saudi Arabia. Accounts of his childhood are rife with inconsistencies, inaccuracies, and clear falsehoods. It is claimed he spent most of his youth working on a family farm in Tennessee, which grew tobacco and raised cattle. However, conveniently these facts cannot be confirmed, as the lifespan of cattle has rendered any that al-Gore may have come into contact with in the 1950s to be currently dead, and all tobacco from that era was used in the Golden Age of Smoking, the 1960s. al-Gore allegedly attended St. Albans School, where he participated in such painfully common and stereotypical activities as football, student government, and discus throwing. The fact that these generic activities are attributed to al-Gore, particularly the high school stereotype of the jock discus-thrower, casts further doubt on the believability of his background. al-Gore then apparently attended Harvard, a university infamous for its erudite professors and their accompanying satanic values, which is curiously the only university to which he applied. The idea that anyone would apply only to Harvard is extremely suspect, and supports the theory that the liberal perpetrators of the al-Gore hoax are averse to filling out excessive paperwork such as multiple college entrance applications. After ostensibly graduating from university, al-Gore spent two years as a journalist stationed with the 20th Engineer Brigade. Curiously, he does not appear in a single one of the dozens of photographs he allegedly took during his service. It is then claimed by so-called "Gore Believers" that he returned from the war to engage in activities such as divinity school and night-time newspaper editor. These accounts contain clear fact manipulation, as both professions are widely known to be among the most unverifiable jobs. al-Gore then apparently attended Vanderbilt Law School and his life began taking a political track since, as he is reported to have said, "I realized that while I could expose corruption, I could not change it." An example of data manipulation in an attempt to support the idea that al-Gore exists. In 1976, al-Gore decided to run for a conveniently open seat in the Senate. Despite holding his own mid-term election and garnering only 31% of the votes, he won the office and began a decades-long "service" in the legislative branch. For nearly seventeen years, al-Gore is supposed to have served the state of Tennessee in both the Senate and the House of Representatives. There are many inconsistencies and logical fallacies concerning this time in al-Gore's life, including his multi-house service. No other politician has ever served in both the House and Senate, yet very little fanfare surrounds al-Gore's accomplishment. Furthermore, computer voting records for al-Gore in both legislative bodies are virtually non-existent. 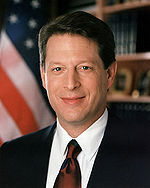 Many claim that al-Gore's service occurred mostly in the 1980s when computer records were not kept for technical reasons, like computers costing hundreds of thousands of dollars. Despite claims of "experts" that al-Gore's voting records are available to the public and cries of "I have them right here! Look!," many remain unconvinced of his congressional career. In 1992 al-Gore was quixotically chosen by Bill Clinton to be the Democratic Party's Vice Presidential nominee. Their ticket won both the 1992 and 1996 presidential elections, and the tandem served eight years in the White House. However, unlike his previous endeavors where there was at least some semblance of a record of his activities, he appears to have accomplished absolutely nothing as a Vice President. His wife, the decidedly existing Tipper al-Gore, has more on her resume from this period. It appears that skeptics of al-Gore are asked to believe that his sole duty was to cast the tie-breaking vote in the Senate, which conveniently did not happen during his tenure in office. Unlike other famous historical figures who held the Vice Presidency, such as Hannibal Hamlin, Garrett Hobart, and Alben Barkley, al-Gore seems to have avoided attracting attention to himself despite holding the second-highest office in the country. In the year 2000, in what may very well have been the largest liberal hoax ever perpetrated, al-Gore allegedly (possibly through the use of write-in ballots, though the lack of records from that era leaves this in dispute) ran for President Of The United States. Although he "won" the election by an "indisputable margin", he was "not allowed" to take office and the position was instead won by governor George W. Bush, of Texas. Although history now proves that President Bush Jr. was undoubtedly the wisest choice to lead our nation, one shouldn't overlook the fact that the Supreme Court awarded the Presidential office to a man who "lost" the election. Why would they do this? Clearly this is further evidence that al-Gore does not exist. In 2006, the al-Gore character appeared in the film, An Inconvenient Truth. In it, al-Gore is seen being driven around in a Hummer H2 while telling viewers that they should drive more expensive cars, using traditional liberal platitudes such as "hybrid" and "Carbon Dioxide." The film has been praised for its work in special effects, creating a near-perfect CGI al-Gore that appears throughout the film. In addition to this, the film makes many other claims, to include the idea that humans are directly responsible for global climate change, that humans should take drastic action in order to reduce their impact on the earth, that Gore theory is a real and applicable theory, and that he exists. The film ignores all rebuttals against the arguments made in the film. It completely fails to mention that natural climate change occurs on other planets at the same rate as it does on Earth. Since al-Gore clearly does not exist on Mars, and therefore cannot be affecting climate change there, it can be deduced that he does not exist on Earth, either, and does not affect climate change. Hollywood intellectuals attempted to reaffirm al-Gore's claim for corporeality by awarding An Inconvenient Truth with the Academy Award for Best Documentary, despite its factual inaccuracies. Despite Hollywood's best efforts to popularize the film, evidence of al-Gore's existence remains purely circumstantial and ill-referenced. The most glaring falsehood repeated several times in the film is that there is a "scientific consensus" that al-Gore exists. al-Gore also manipulates data in order to create the appearance that 100% of Americans believe that he exists. This is simply not true, as there are many political and scientific figures that recognize that al-Gore is nothing more than a lie created by the liberal media in order to sell more hybrid cars. 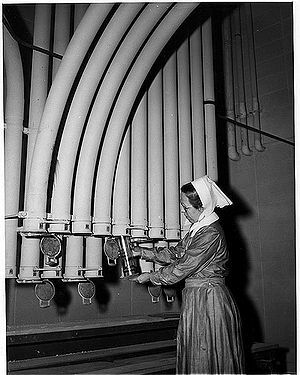 One idea of what the internet may look like, according to liberals. In addition to making claims about anthropogenic global warming and its supposed spokesperson, al-Gore, the liberal media also claims that al-Gore, a politician, invented the internet. However, according to a letter released in 1999 written by Robert Khan and Vinton Cerf, two scientists who specialize in the internet, "No one person or even small group of persons exclusively "invented" the Internet." Now, assume that al-Gore invented the internet. But also, we know that no one invented the internet. This is clear, mathematical proof that al-Gore does not exist. A further corollary of this fact states that if the founder of the internet doesn't exist, neither does the internet. Therefore, the internet is nothing more than just another lie created and spread by the liberal media using scare tactics and deceit. While some claim otherwise, there is no real consensus in the world of academia that the internet exists. It is very intangible, there is no physical evidence to support it. For God's sake, how can anyone believe in anything that they can't see? Despite the obvious logical evidence, supported by the conclusions of trained scientists, many liberals have resulted to petty name-calling in their support of al-Gore and/or the Internet's existence. These ignorant, stubborn, unthinking critics respond to the conclusions with insults like "stupid" and "those aren't real scientists." Reports still come in, from time to time, from the forests of the Pacific Northwest where the reclusive al-Gore is said to dwell. Despite repeated attempts to subject hair, fibres and stool to DNA analysis there remains no concrete proof to suggest that this curious wooly-man-beast is anything but the product of bored Democrats with too much time on their hands. Notwithstanding such skepticism there are those who point to far off Tibet and the famous Pangboch blazer as proof that a race of privileged liberals, who seem never to have evolved "the common touch", once existed in the Himalayas. To this day legends of the creatures persist and children who fail to go straight to bed are told that 'The Gore' will come after them and patronize them until they go mad. Several unqualified internet riff-raff have suggested that the "Gore" sightings are nothing but misidentified sightings of Jesse Jackson in his summer molt. Nonetheless, every year there are still tales from campers, backpackers and terrists that tell of a strangely camp and annoying liberal in a blazer seen roaming the woods of California and Oregon, berating people for no good reason at all. ↑ This was likely due to his lack of existence. ↑ Probably because they are liberal elitists who believe that a movie about global warming on planets other than Earth would not sell. ↑ Source - Barack Obama in New York Times, "Those allegations are stupid"
↑ Source - Richard Dawkins in an Oxford Lecture, "Those aren't real scientists." ↑ Source - Lovestospooge; 4channel "Nah man, its jus Jesse Jackson in the summer innit." This article was one of the Top 10 articles of 2009. This formerly savage article is brought to you, and your Christian God, by your resident Lobsterbacks. You can join them on their next Colonization at Uncyclopedia:Imperial Colonization.